Wooden floors are always in style, so give your home or office a makeover that lasts – with a wood floor installation. The floor fitters in Richmond TW9 provide a service geared towards your complete satisfaction. You have complete control over the process and can choose among a variety of design choices and materials to have a floor that meets all your requirements. We always begin with an on-site consultation to observe the layout and check out if the current floor is leveled. If not, then we perform concrete subfloor leveling to ensure a steady basis. 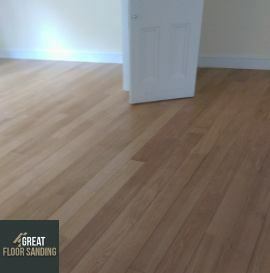 Meet The Experienced Wood Floor Fitters in Richmond TW9! Now that you have decided on installing wooden floors, call 020 3404 9697 to get in touch with the office and schedule your no-obligation on-site consultation. You can contact us every day of the week from Monday to Sunday with the inclusion of bank and national holidays. All of the wood floor layers in Richmond are here to help you create a unique service package and accommodate all your needs whether you want more information regarding our services or want to make alterations to an existing appointment.